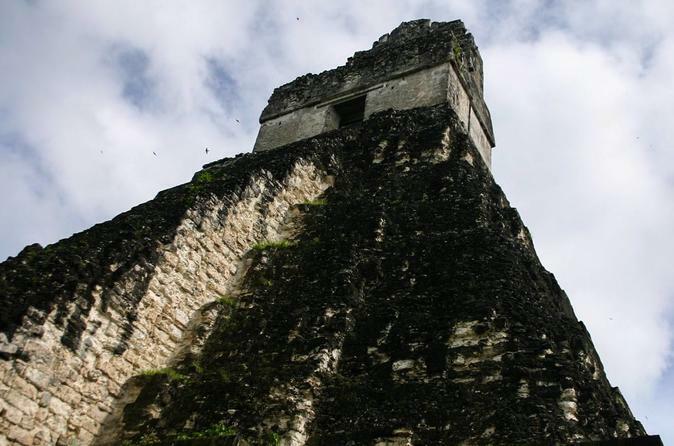 Enjoy the beutiful site of Tikal, flying per one hour from Guatemala City to Flores, Petén. You will see the nature and the local people. In the site you will have a walking tour, the ruins are located in the middle of the tropical jungle, in the Peten basin, which formed the cradle of Mayan civilization in the lowlands of Mesoamerica. The city is located in the middle of fertile soils, with elevated lands, about the ruins includes the remains of the temples, which rise more than 70 meters, large royal palaces, plus a series of smaller pyramids, palaces, residences, administrative buildings, platforms and stone monuments with inscriptions, there are also seven tracks to play the Mesoamerican ball game, including a set of three tracks, in the Plaza of the Seven Temples, a unique feature in Mesoamerica. 4:30 AM Transport from your lodging to the Airport to take your flight to Flores, Petén (Air Tickets included). Arriving at Flores transport to the Archaeological Site Tikal. Visit to World Heritage Mixed number 64 declared in 1979, tour of the Great Square, the Central Acropolis, North and South. Square of the Seven Temples and temples I, II, III, IV, V. At the end of lunch time, (included). Transport to the Airport to take your flight from Flores, Petén to Guatemala City. Reception at INTL Airport Aurora and transport to your lodging. The meals have a vegetarian options. The admission tickets to Tikal is included. We pick you up and drop you up from the hotels in Guatemala City. The time flying is one hours per way. The services are in Shared with another people.